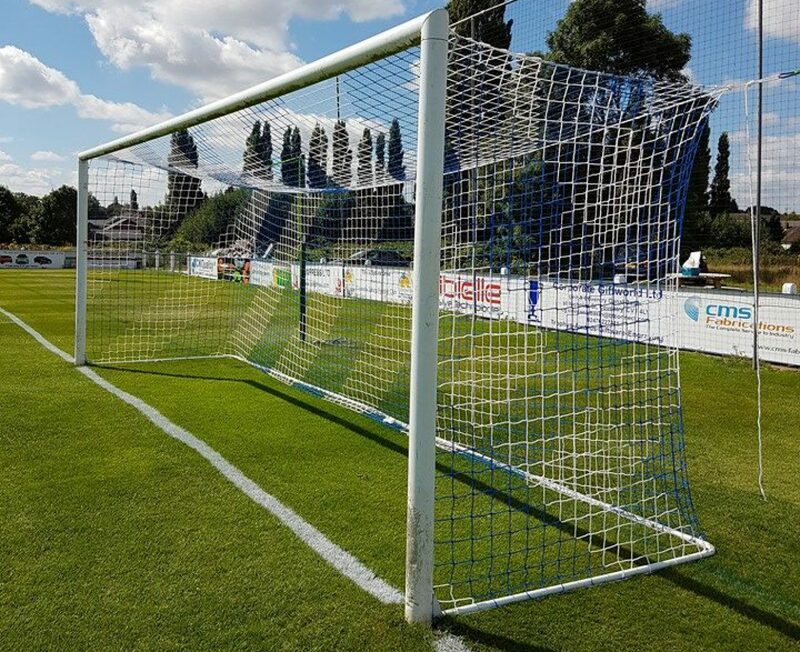 After three weekends without a match we were thankful for the 3G pitch at Boldmere that made sure we could spend the week safely looking forward to a match. Boldmere have proven a difficult nut to crack recently with three consecutive clean sheets in the league and today that was also the case for Coventry Sphinx. The visitors had much the better of the game but Boldmere were in resilient mood again which meant clear cut opportunities were severely limited for a Sphinx side that looked to be enjoying playing on the 3G surface. A goal for Sphinx midway through the second half looked to have won it for them but a never say die attitude from Boldmere got them a point with a stoppage time equaliser. Sphinx last played on January 7th but Stuart Dutton only had to make one change from the 3-1 win over Shawbury Utd. Since then defender Jamie McAteer has left for Bedworth Utd and he has been more than adequately replaced by the vastly experienced Richard Lavery who has joined from Barwell. Another new signing, striker Curvin Ellis, took a place on the bench. Sphinx were quicker out of the blocks, were having more of the play and were looking sharper all round in the opening period of the match. Despite this, the closest they got to scoring was from a Luke Downes cross that was pawed onto the far post by an alert keeper. The opening spell summed up a lot of the first half with Sphinx controlling possession but not threatening the goal. Boldmere offered little threat up front but defensively they were excellent in preventing the dominance of the visitors from turning into a peppering of the goal. The worry was that Sphinx would lose patience but they didn’t and they continued to play the football that was enabling them to have the upper hand. Aron Wint took a knock which allowed Stuart Dutton to introduce his new signing from the bench. Curvin Ellis cuts an imposing figure and his arrival on 54 minutes gave Sphinx a new dimension in attack. Just before the hour Boldmere were reduced to ten men thanks to a second yellow card issued to Max Black. The game was there to be won now but Boldmere weren’t about to lie down in a hurry. Stuart Dutton introduced Ryan Harkin to add pace to the Sphinx attack and within minutes of that substitution Sphinx went ahead on 73 minutes. Jamie Towers got in the crucial header that was diverted into the net but there was some debate over who got the final touch. The end result was a goal being credited to debutant Curvin ELLIS and that was a fair reward for a highly encouraging display from the new man. Game management was the key for Coventry Sphinx now but when you only have a one goal lead you always leave yourself in danger. Sphinx should have doubled their lead after Towers did brilliantly to rob the keeper on the by-line but his firmly hit cross was steered over the bar by Harkin who was stood in the six yard box with the goal gaping. Harks should have scored and he doesn’t need me to tell him that but that can happen to the best of them and he gave Sphinx a real lift when he came on with some good play down the right in particular. Boldmere took full advantage with a stoppage time equaliser that could well have been prevented with better defending but after a performance that good they won’t be getting any criticism from me. It’s been a long time since I’ve watched Sphinx look that good for long spells of a game. They played some cracking football at times, looked balanced as a team and defensively they looked solid. Once they add goals to the mix I believe we will have a really good side on our hands. Boldmere deserve credit too for the character they showed to get back in the match with ten men and I’m sure they’ll be giving tough games to plenty of other sides in the coming months. Overall a really good game to watch and Sphinx will be champing at the bit to get back in action on Saturday 18th February when they make the journey to Hereford to take on Westfields. I’d struggle to pick out a Sphinx player who had a poor game and it was most certainly a team performance today. Rich Lavery came into the centre of defence and added leadership and desire. Darren Eggleton is Mr Consistent and once again didn’t let anyone down. Kieran McCalla is looking more and more comfortable at left back and right back Scott Lower was again excellent. The midfield saw Reece Blackmore and Callum Woodward cover acres of ground and combined ball winning with positive attacking play as usual. Towers was in decent form on the right and Wint is certainly gives plenty to the side on the left. McGarrity was a pest up front buzzing around the defence. Ellis came off the bench and has given his manager a selection problem for the next match on that showing with his physical and skilful performance. My Man of the Match is Luke Downes who was pulling the strings nicely in midfield and is really getting back into form now.